It came to my attention yesterday that despite living in an age of boundless technological advances in personal entertainment, white people still do not have enough to occupy their time. 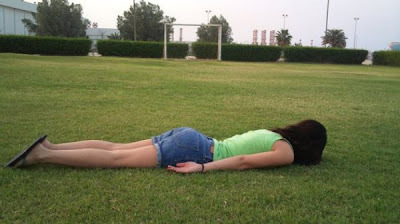 I am referring to the Internet sensation known as “planking” which consists of a person lying motionless on their stomach in a public location while another individual collects photographic evidence. In Detroit, these circumstances would simply be referred to as a “crime scene” but in Australia it has become a full-fledged phenomenon. The activity has been around for several years under the title “The Lying-Down Game” but in the past six months it has worked its way back into the spotlight with a slightly more marketable name. The craze suffered its first setback in early May of this year when an Australian man fell seven stories to his death during a planking mishap. Twenty-year old Acton Beale was attempting to plank on the balcony railing of a high-rise apartment when he lost his balance and fell over the side. 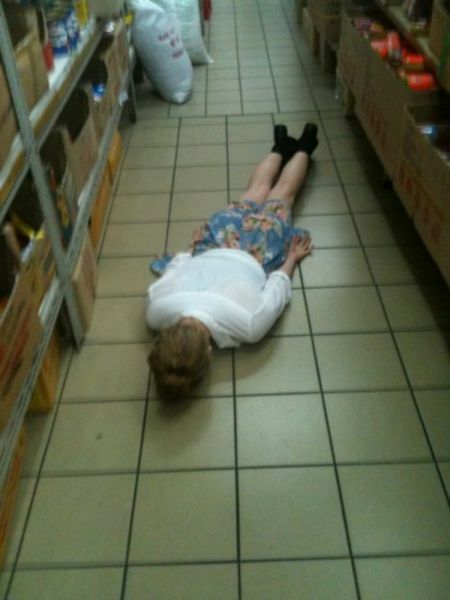 While Beale’s incident is the first fatality associated with the practice, planking has been in the news before. September of last year, seven emergency room doctors and nurses at England’s Great Western Hospital were suspended for “planking” on the helipad, gurneys, and floor of the medical center. They posted photos of the incident on Facebook where they were later discovered by the hospital’s medical director. The trend has started to appear in America and Post Foods has become so concerned that they released an official statement through their Honey Bunches of Oats spokesperson and blog urging the public to “plank safely.” There are even anti-planking websites and groups protesting the practice due to safety concerns. Having performed an adequate amount of research on the subject, I am fairly certain that the growing popularity of this trend among Caucasians should put the death-nail in any claims of Aryan supremacy. I must have viewed a hundred photos of men and women planking on the Internet and let me just say that not a single participant would look out of place in a Salt Lake City Gap store. How did this practice originate? What possesses a relatively affluent group of people in a developed nation to decide the best use of their time and energy is to voluntarily lay face-down on a sidewalk for the purposes of taking a picture? More importantly, who comprises the audience that such a stunt caters to? The only thing less productive that being in the picture is being the guy who spends time looking at the pictures because he did not personally possess the motivation to lay down himself. I can tell you one thing, if I was in the emergency-room and found out that my two-hour wait was the result of the medical staff “planking” on the helipad I would beat the HMO out of someone so that they could play the “lying down game” in the MRI machine later. These people graduated from medical school but they decided the best way to impress their peers was to take pictures of themselves belly-flopping on the floor. I would also like to highlight how disturbing it is that we are now hiring spokespeople for breakfast cereals. Exactly what kind of public-relations emergencies can a whole-grain cereal get itself into? And do other cereals have a PR team at their disposal? How would that interview process work?